Some days are just tough to summon up the motivation and drive to push forward. Or maybe, I'm inclined to be a little more lazy on certain days rather than others. Mondays are bad because I seem to want to cling to the down time of the weekend. Wednesdays are bad because it's the middle of the week and the true drudgery of the workweek has set in. Fridays are bad because I'm tired--and maybe a little discouraged by the week's results--and ready for the weekend. So basically--if I give in to my weekday blahs...Tuesday and Thursday would be my only productive days of the week. Well. I don't think a two-day work week is really going to help me reach any of my goals, is it? Today's Monday Motivation is to encourage you (and me) to do your best every day of the week. Not just on the days that you feel your best. Not just on the days that you want to. Not just on Tuesday or Thursday. 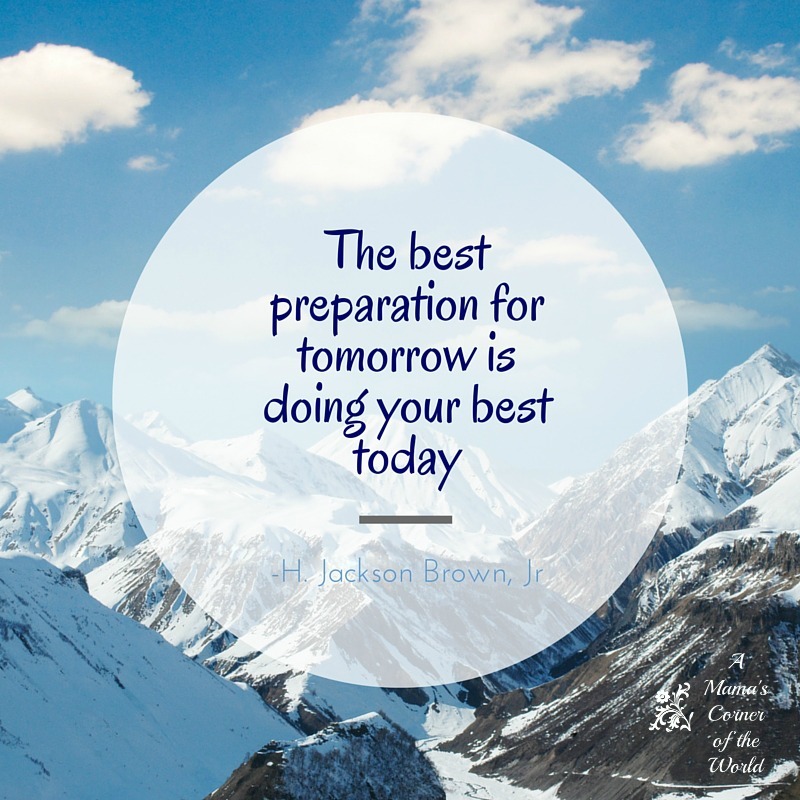 Do your best today.....because you are setting the stage for tomorrow. Whether you are practicing, studying, or trudging through your to-do list today. Give it your best effort. I know that it's going to take some pushing. Some pulling. Maybe even some kicking and screaming. And I know that most of us simply aren't 100% productive every day of the week. Are we really doing our best today? Every day? I know I'm not. I know I should be. As a mom, I know that I'm setting an important example for my children. I know that I set the tone and the direction of my household. When I am productive and on-task--the rest of the family seems to accomplish more of their own goals and tasks. When I slack....they seem to slack. I know that I didn't want to get up at 4am this Monday morning to pack lunches and start the workday--but, if I don't try my best today...and every day...what can I really hope to achieve tomorrow? Try to make this Monday (and every day) your best, most productive day of the week--and see how tomorrow goes!